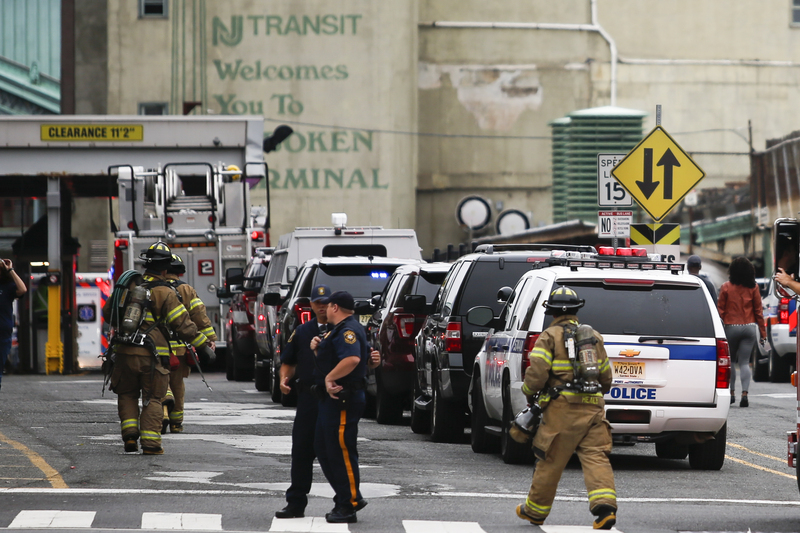 A commuter train crashed into the Hoboken station in New Jersey at the peak of rush hour on the morning of Sept. 29, killing at least one person and injuring more than 100 others. As first responders descended upon the terminal to help those injured, there are different ways that you can help the victims of the Hoboken train crash. Here are a few suggestions, whether you live local to New Jersey or New York, or elsewhere. The crash occurred around 8:45 a.m. ET on Thursday morning as the train went over the initial bumper blocked and into the depot. In addition to the fatality and injuries, officials have also confirmed that there was extensive structural damage done to the station. Falling support beams had caused a partial collapse of the roof onto the train tracks. In order to help the emergency personnel at the scene, the best tactic to aid them in their efforts — as well as give the injured the greatest chance at recovery — is for those living locally to stay away from the scene. Ambulances, fire trucks, and police cars have flooded the train station, and adding any stress onto their commute by converging onto the scene will only delay their process. Staying clear of the train and police stations will help keep the scene clear for the first responders. Donating is another option for those looking to help. For those living in New Jersey or New York, you can donate to local business Honey Grow. The farm-to-form restaurant was seen donating food and water to the Hoboken victims after the crash. They also tweeted out that their Hoboken location was open to any victims needing to wait indoors for loved ones or for a ride. Local bar Hoboken Happy Hours also tweeted out, saying they were nearby and ready to offer assistance to victims should they be needed. For those living further away, opportunities to help will likely present themselves as the days go on. With the 100 known injuries from the crash, hospitals will likely need a larger supply of blood. Donating to your local Red Cross is also a good option for helping victims, no matter where you are. Local food banks and shelters may also begin collecting supplies for the victims and their families. Individual crowdfunding pages may become available for victims and families as well, so keep an eye out for any GoFundMe pages for the area. This may give you a chance to donate directly to those affected.